I gotta say that I am a HUGE JEEP fan. 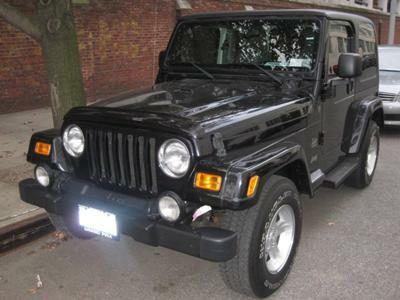 So far I've owned a Laredo, a Liberty, and now a TJ. I LOVE IT! It has all the amenities of any other truck I've owned, but is still a leader in the offroad world. And lets be honest, the JEEP WAVE thing is really a cool thing. I haven't had the chance to off road it yet as I just got it, but I know that when I do, it will excel. And lets not forget the TONS of accessories that are available, and they really are not that expensive when compared to accessories for say a Liberty, or Laredo, etc.. Jeep will have me as a customer for years to come, that's a fact. Larry's Comment: Nice looking TJ Felix!